Ever since we moved into our house, I’ve been mildly obsessed with making our yard as bird-friendly as possible. I love having a yard full of chirping birds…and I geek out when a new species is spotted. 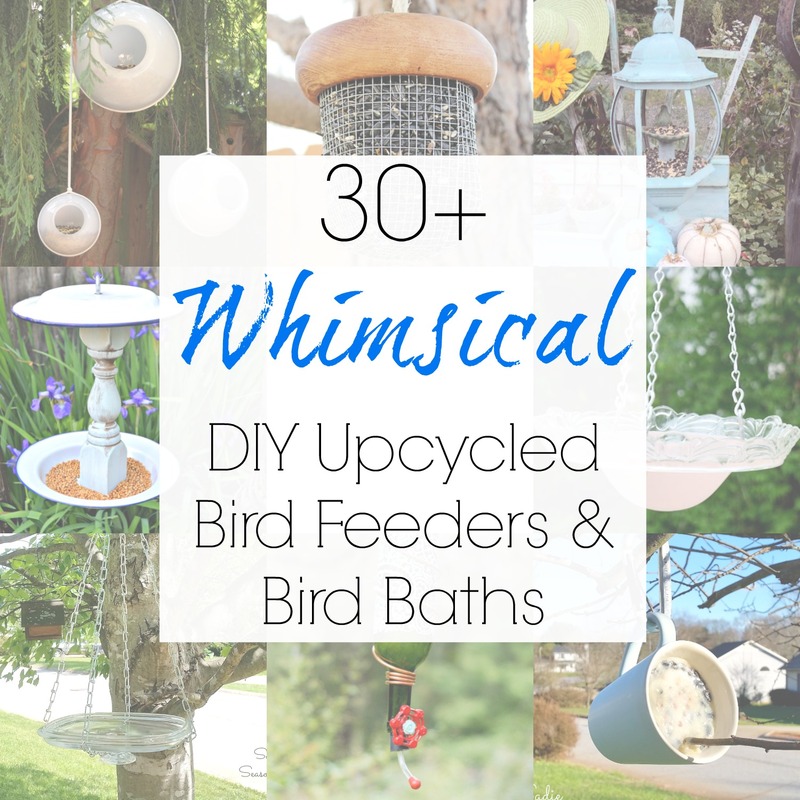 So it’s no surprise that I love a good DIY bird bath project or trying to make the best bird feeders from upcycled materials. 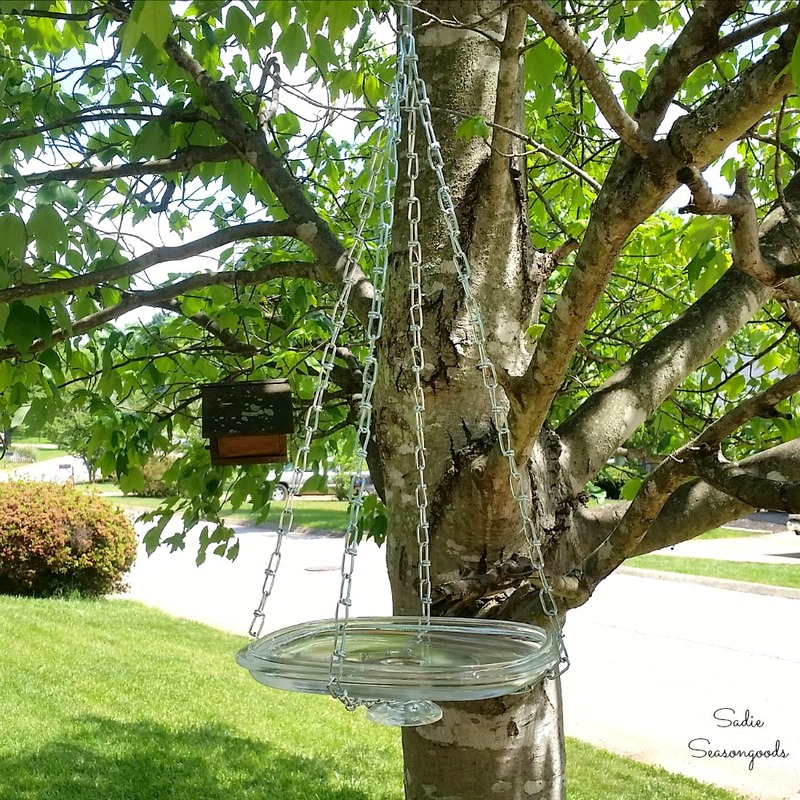 I’ve wanted to try my hand at a DIY bird bath for some time now, as we love supplying food and water to the wildlife in our back yard. So, I decided to find out how to make a bird bath and used a brass lamp (or vintage lamp) from the thrift store as my base. For the bird bath bowl, I upcycled a glass plate or glass tray (also from the thrift store).